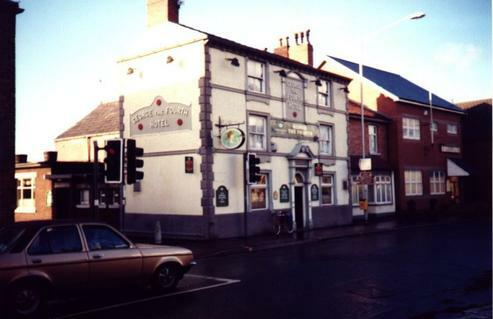 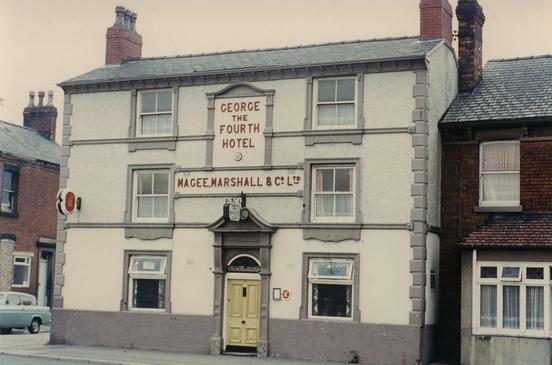 This public house was originally known as the Grapes but changed its name after the coronation of George IV in 1820 and remained as such until the late 1900s when it became Barristers. 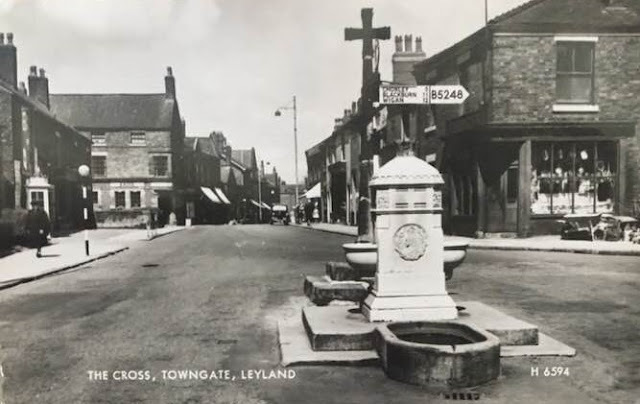 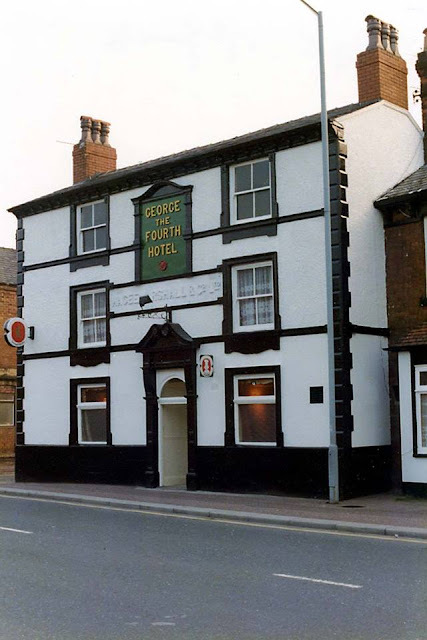 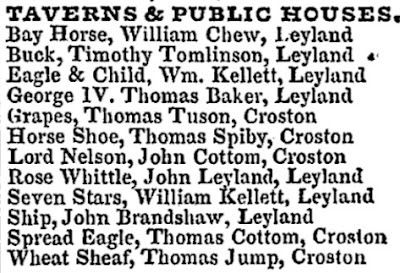 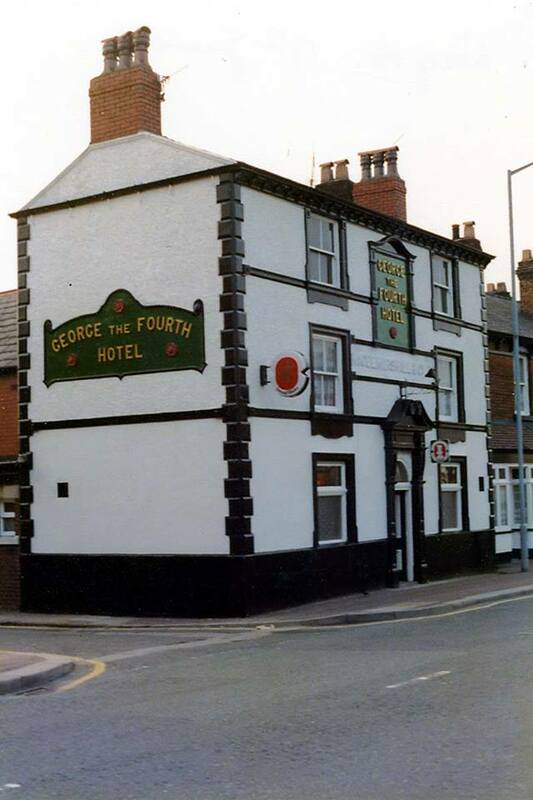 Listed landlords at the George the Fourth were Thomas Baker (1834), William Eccles (1841-54), John Hargreaves (1855), Cuthbert Cardwell (1858-65), John Whiteside (1869-1883), James Jackson (1891-1900), James Jackson Jr (1900-01) and James Watkinson (1911-17). 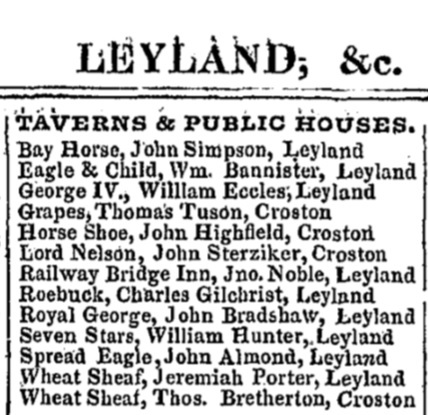 Marriage: 26 Aug 1858 St Andrew, Leyland, Lancs. 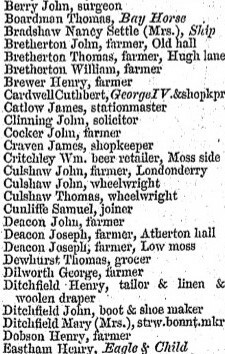 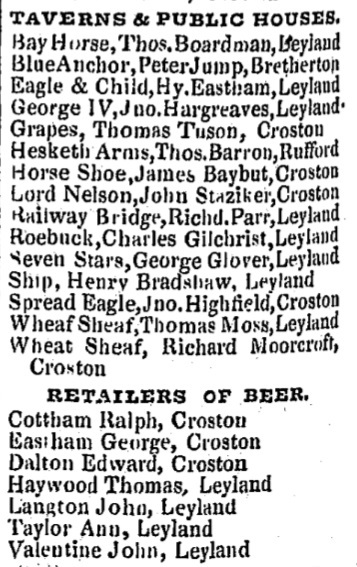 Cuthbert Cardwell is shown as running the pub and a shopkeeper on the 1858 Post Office directory above. Landlords having more than one occupation was by no means unusual at this time in order to supplement their income but in Cuthbert's case he had lived locally for the preceding 20 years or so holding down an occupation of both an Auctioneer (1841) and a Grocer (1851) on Main Street/Towngate before taking over the George IV. Marriage: 3 Nov 1859 St Andrew, Leyland, Lancs. 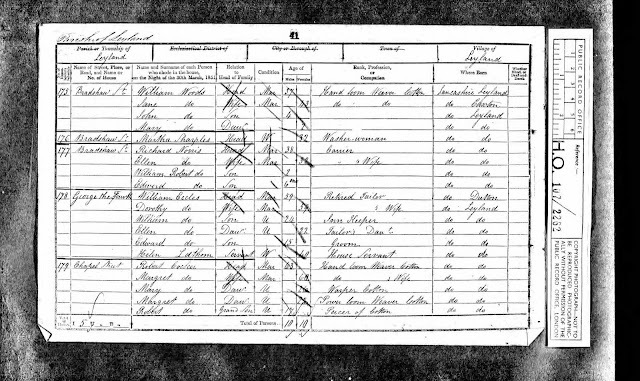 Marriage: 26 Aug 1886 St Andrew, Leyland, Lancs. 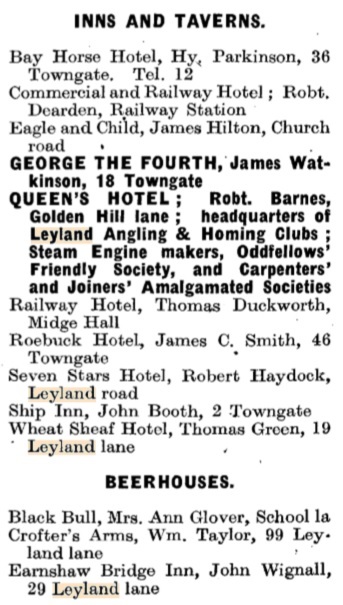 Marriage: 6 Apr 1893 St Andrew, Leyland, Lancs. 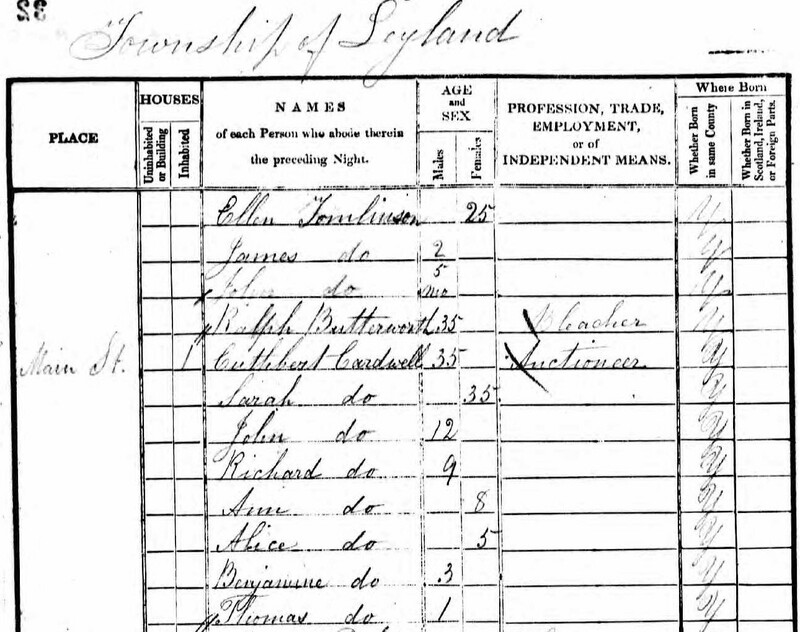 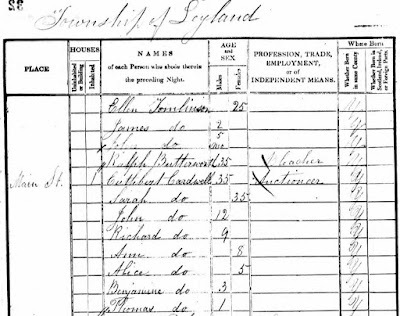 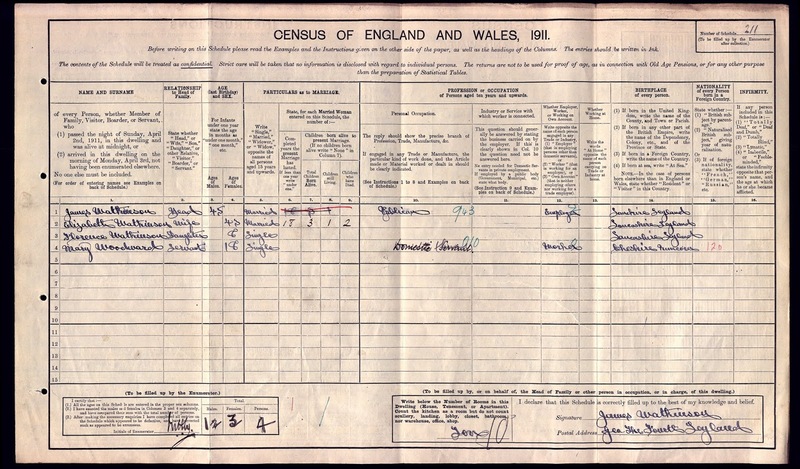 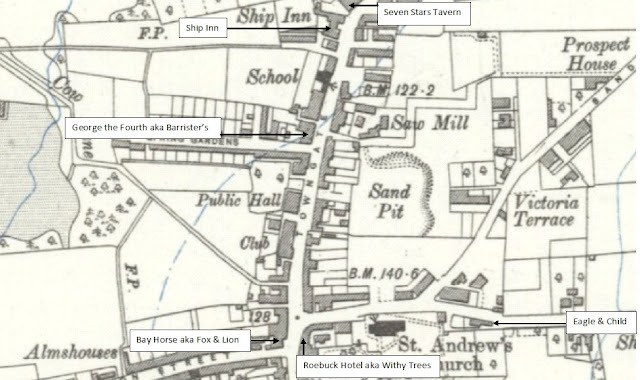 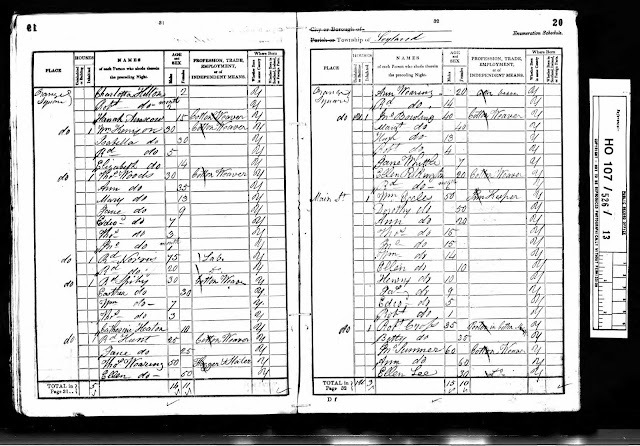 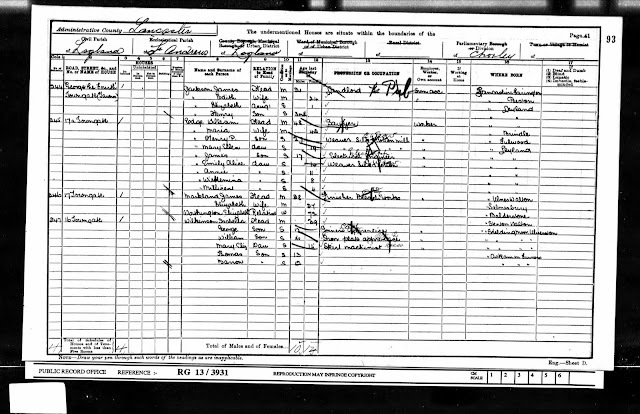 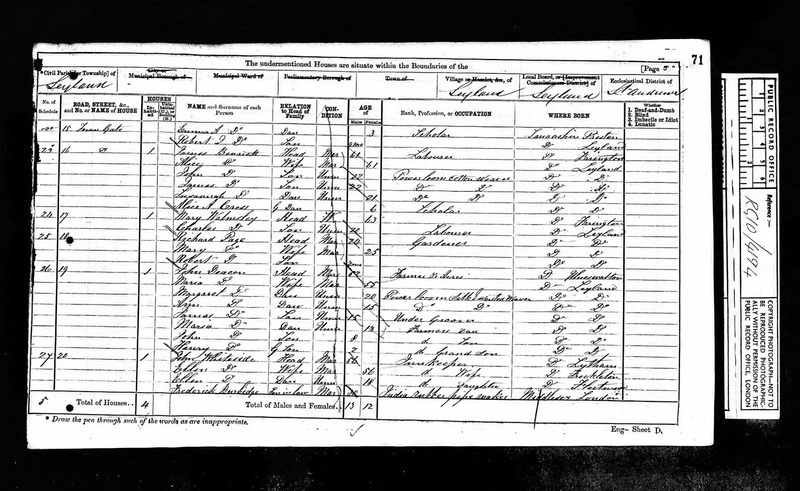 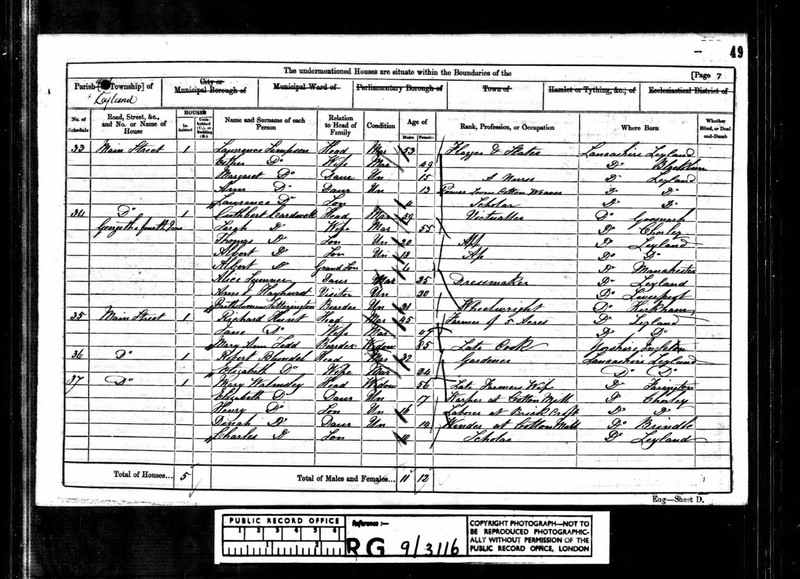 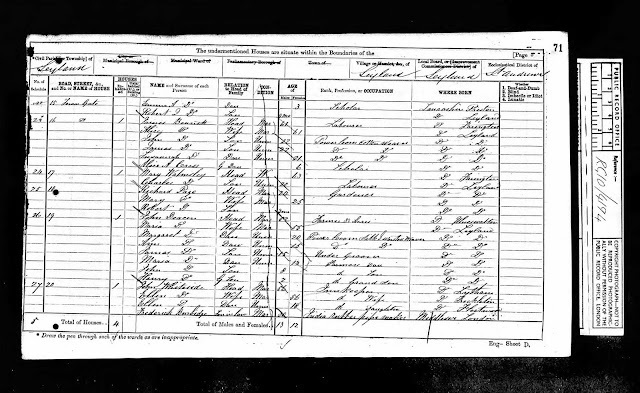 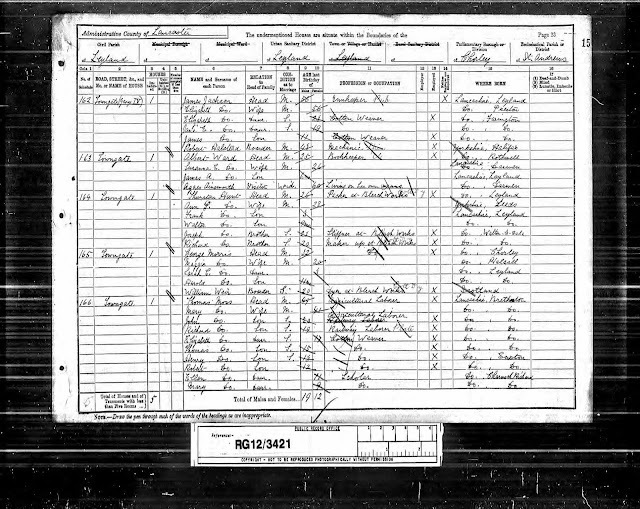 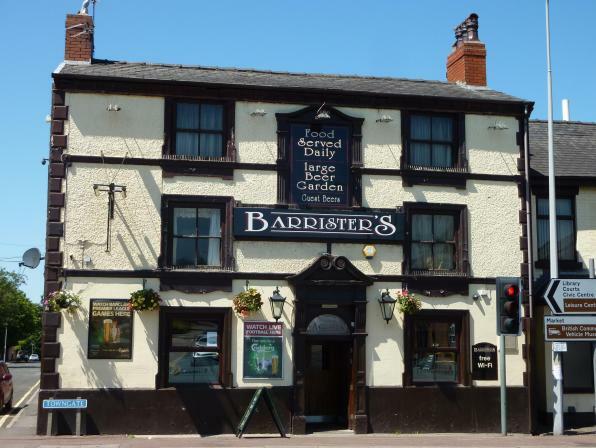 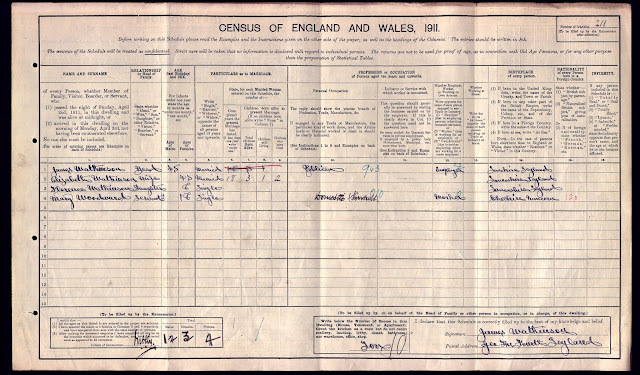 James Jackson's eldest daughter Elizabeth married a local bleacher, James Watkinson in 1893 and whilst her brother James ran the pub after their father's death when he moved on in the early 1900s Elizabeth and James Watkinson took over the running of the pub and were recorded there on the 1911 census below. 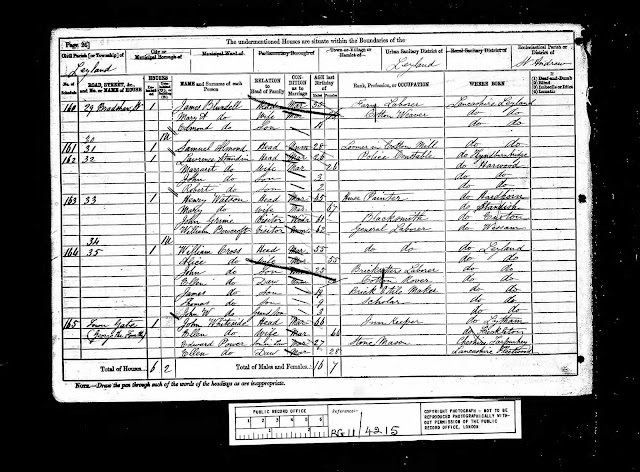 Marriage: 23 Aug 1899 St Andrew, Leyland, Lancs.